ONRAD Expands Radiology Services to Entire Avanti Hospitals, LLC System - ONRAD, Inc.
Riverside, CA December 18, 2012 – ONRAD, a U.S. based provider of radiology solutions, is pleased to announce that Avanti Hospitals, LLC has selected ONRAD, Inc. to provide 24×7 onsite and remote radiology services at each of its hospitals. ONRAD will leverage its advanced radiology network to efficiently deliver high quality radiology interpretations to Avanti’s referrers and patients, allowing Avanti to deliver high-quality radiology services to an underserved patient population.  “We are thrilled to be selected by Avanti as we believe the strategic visions of our two organizations are in perfect lockstep – to leverage technology to deliver quality radiology services to underserved populations in an economically feasible way,” said David Willcutts, CEO and President of ONRAD, Inc. “This is a perfect case study of how ONRAD can help hospital systems manage their radiology departments in a cost effective and consistent manner across the system, while, in fact, increasing the quality of service.